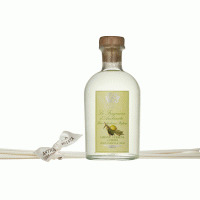 Lemone, Verbena e Cedro A wonderfully complex twist on a traditional citrus scent. 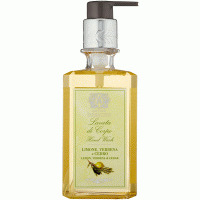 Invigorating notes of tart lemon, orange and lemongrass mingle with notes of fresh Italian verbena. Subtle white florals follow and round out this delicate scent built on notes of cedarwood. A fresh bright and complex citrus experience.